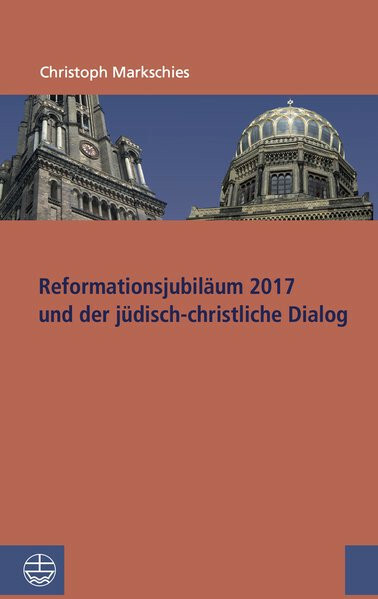 Produktinformationen "Reformationsjubiläum 2017 und jüdisch-christlicher Dialog"
[The Anniversary of the Reformation in 2017 and the Jewish-Christian Dialogue]When the anniversary of the Reformation in 2017 is considered from the perspective of the Jewish-Christian dialogue it mostly comes to the question how the Protestant Churches deal with Luther's anti-Jewish statements and its anti-Semitic impacts in history. Research in the history of the Reformation has shown that the classical model of a division of Luther's works in a phase of a friendly attitude towards Judaism and a phase of a hostile attitude has historically only a limited validity.The present text by the renowned Berlin theologian Christoph Markschies addresses the question how in spite of the burden of reformatory anti-Judaism, basic insights of the Reformation - particularly the emphatic affirmation "sola scriptorum" - can be made fruitful for the current Jewish-Christian dialogue. It is important to discover and preserve the riches of the whole Bible, especially its conspicuous Jewish dimensions.